Getting ready for your next travel experience? Packing is easy, but it’s even better with a few storage techniques. As usual, don’t forget to pack according to weather, location, and activities planned. Here are a few tips on how to pack efficiently so you have more room in your suitcase! Too many pieces of clothing are unnecessary and will cause less room in your suitcase for gifts and souvenirs. What do you have planned for your trip? It is important to pack for the activities that are definite, but also for any spontaneous endeavors. Know where you’re going and how you’d like to dress, this will really help! Have you ever thought about rolling your clothes instead of folding them? Rolled clothes will take up a fraction of the space; however, be cautious about the clothing material that is vulnerable to winkles. In this case, folding might be more appropriate, yet a combination of the two should be enough to fit all of your clothes without a problem. 3. What’s the Weather like? Take a moment to check the weather forecast of your destination before you begin to pack. As we know this is not always accurate, obtaining a general idea of the possible weather will help you decide on what would be best to pack and what would be considered as unnecessary clothing. Did you know that most grooming accessories and hygiene products are available in travel sizes? Whether it’s a travel-sized barbershop or minute versions of all the shampoos and conditioners in your shower, most of these items are available at almost any market. 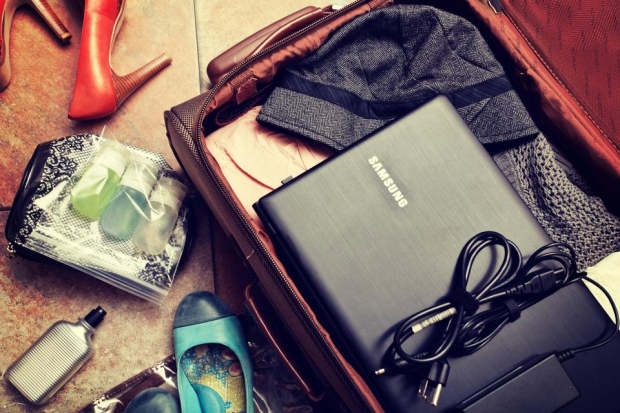 Items such as coats, jeans and sweaters require a lot of room when packing; therefore, if you wear these bulkier items during your travels, it’ll save a lot of convenient space in your suitcase. And if the weather is colder than normal, this is the perfect opportunity to stay warm and comfortable! ‘How to’ provides our audience with tips on subjects that are most relevant to travel, aiding any question and/or concern one may have throughout their experience. We strive for each individual to enjoy their travels, especially when it comes to foreign situations. Let us know what you think. Connect with us on Facebook, Twitter, or Google +.